Ministry of Education, Government of India, in 1960. 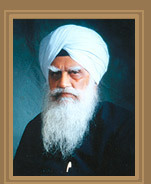 Citation of the award given by the Jathedar of Takht Sri Damdama Sahib, to mark Giani Gurdit Singh's services in getting Damdama Sahib recognised as the fifth Takht. Certificate of Recognition given by Canadian Sikh Study Circle and Teaching Society in 1990.